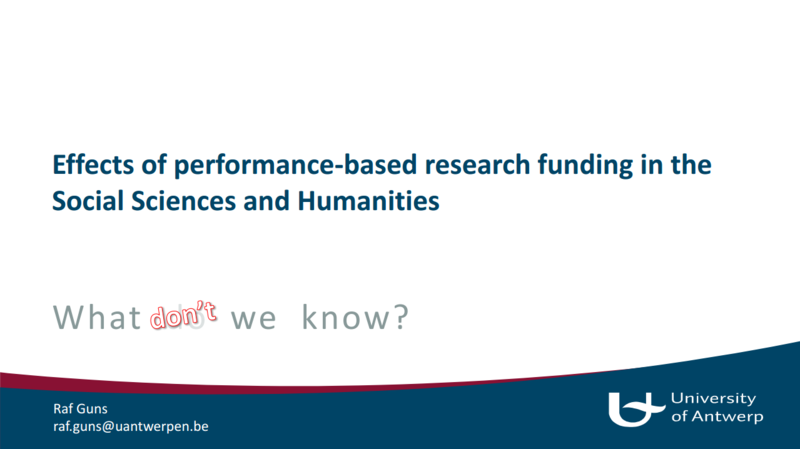 Effects of performance-based research funding in the Social Sciences and Humanities – What do we know? Many countries have introduced performance-based research funding systems (PRFS), which distribute funds over institutions using a set of output indicators. We will use the Flemish BOF-key, which distributes government funds over universities, as an example. Part of the BOF-key is based on numbers of publications and citations in the Web of Science, as well as the number of publications in the VABB-SHW, a dedicated Flemish database for research output from the Social Sciences and Humanities (SSH). Some researchers have raised concerns about the existence and implementation of the VABB-SHW, claiming that it distorts the SSH by shifting focus towards specific publication channels. However, little is known about the effects of PRFSs on SSH, mostly because causality is hard to establish: if we notice an increase in, e.g., share of WoS publications, is it due to the PRFS or some other factor, like a growing orientation towards publishing in journals and/or in English? 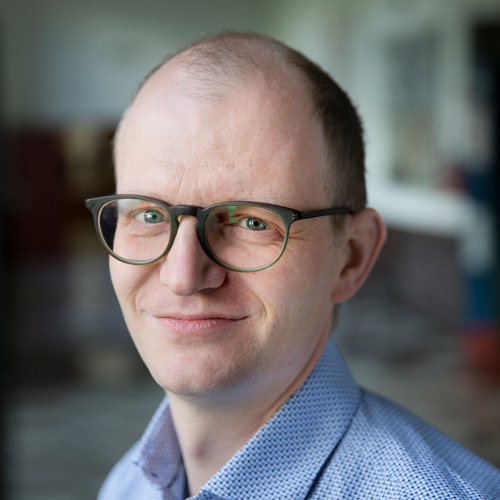 In this talk, I will discuss the difficulty of establishing cause and effect, and some criteria for causality, using the case of the Flemish SSH as an example.